Obituary for Roger Stormont | Lanman Funeral Home, Inc.
Roger was a fighter from the time he was born six weeks early to Keith and Mildred Stormont of Wakita, joining Robert, Marilyn and Joyce of the home. He faced numerous medical conditions during his lifetime, but never complained, facing each challenge with dignity and quiet resolve. Roger chose to focus on others’ maladies, rather than acknowledge his own condition, battling Parkinson’s with extreme courage. 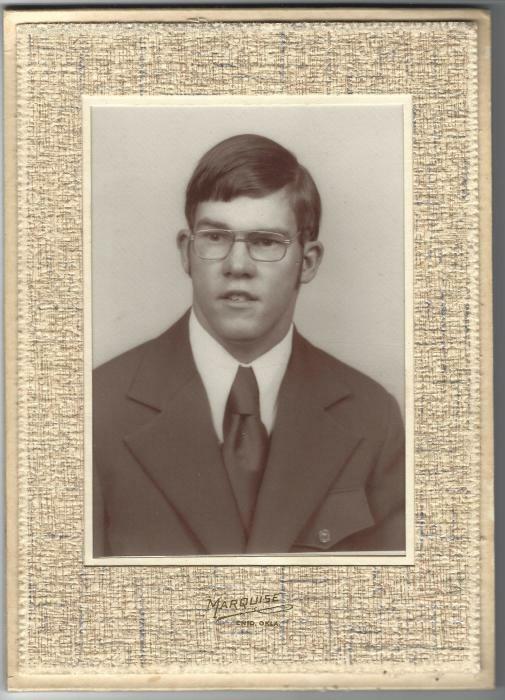 Roger attended Wakita Schools for twelve years, in addition to two years at the Vo Tech in Enid. In high school, he participated in band (playing drums) and FFA. He enjoyed showing sheep, pigs and cattle in local and district contests, winning many trophies and awards. He especially enjoyed hunting and fishing, including the huge family hunts with all the cousins. Roger was a lifelong member of the Wakita Methodist Church. After graduation from high school, he helped with farm operations on the family farm. He worked for Koch Industries in Medford. In 1984 Roger moved to Milan, Missouri and worked there for several years before moving back to Oklahoma. Every morning after work, while living in Milan, he went fishing with his good friend, Harold. Roger resided at Rainbow Assisted Living in Bristow for the past 12 ½ years, making many friends there among both staff and residents. He loved living right across from the casino and couldn’t wait to call and tell us when he got “that big” payout. He spent quality time with his family, but was always ready to go back “home.” He loved playing video games and shopping at Wal-Mart, even braving Black Friday sales this year. He was a huge fan of the OSU Cowboys, OKC Thunder and Kansas City Chiefs, faithfully watching all of the games. Roger could tell you all the weather conditions for the upcoming week, no doubt a throwback to his farm days. Roger was greeted in heaven by his parents; grandparents and brother, Robert. Survivors include Marilyn Musgrove and husband, Bob of Tulsa; Joyce Lackey and husband, Jerry of Wellston; sister-in-law; eight nieces and nephews (who loved to tease Uncle Roger); great nieces and nephews and numerous cousins. The family would like to thank the staff of Rainbow for providing a loving home-away-from-home for the past 12 ½ years and spoiling him. He was so excited to see everyone when he returned from the hospital and so he could play his new video game. Physician’s Choice Hospice (Renita, Jennifer, Hunter, Vicky and Danny) helped make his last weeks as comfortable and loving as possible. A celebration of Life will be held at Rainbow Assisted Living in Bristow on Thursday, April 26, 2018 at 12:00 p.m. Graveside services will be held at the Wakita Cemetery on Saturday, April 28, 2018 at 2:00 p.m. Arrangements are by Lanman Funeral Home, Inc. of Medford.